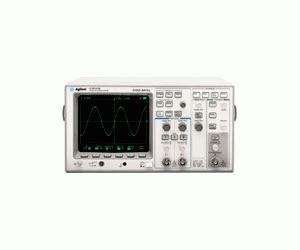 The Agilent 54610B 20 MSa/s 500 MHz 2 Channel Oscilloscope offers the look and feel of analog and the power of digital. Need accurate 500 MHz measurements on a tight budget? We had you in mind when we designed the Agilent 54610B. With its horizontal accuracy of 0.01% and 1 ns/div time base, you know you will catch the critical details.